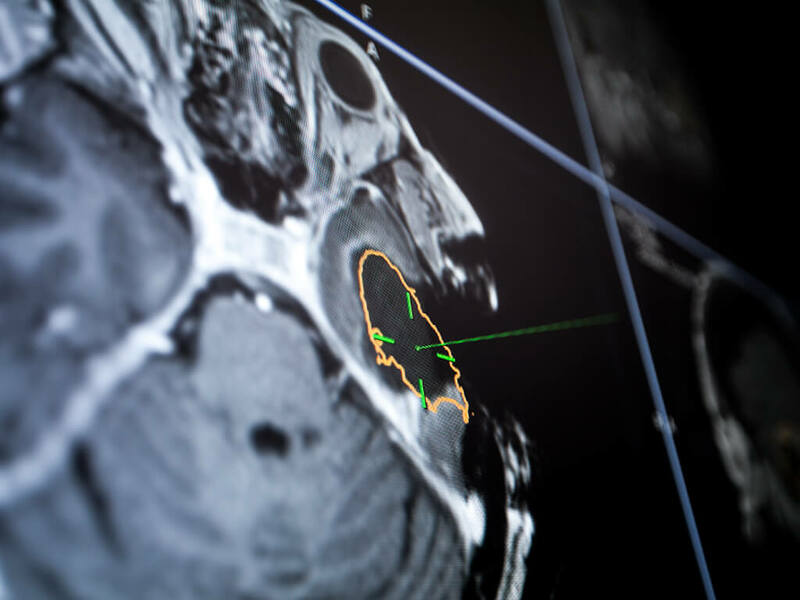 With digital patient data uploaded to the Brainlab Cranial Navigation application in the O.R., surgeons can identify their approach before making an incision. 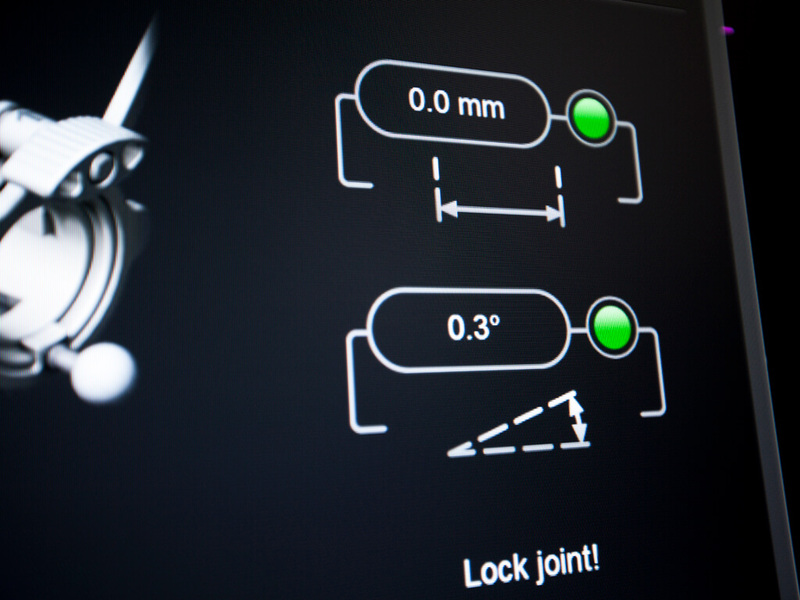 Cranial Navigation tracks tools¹ in real time and displays their position in relation to the patient data. 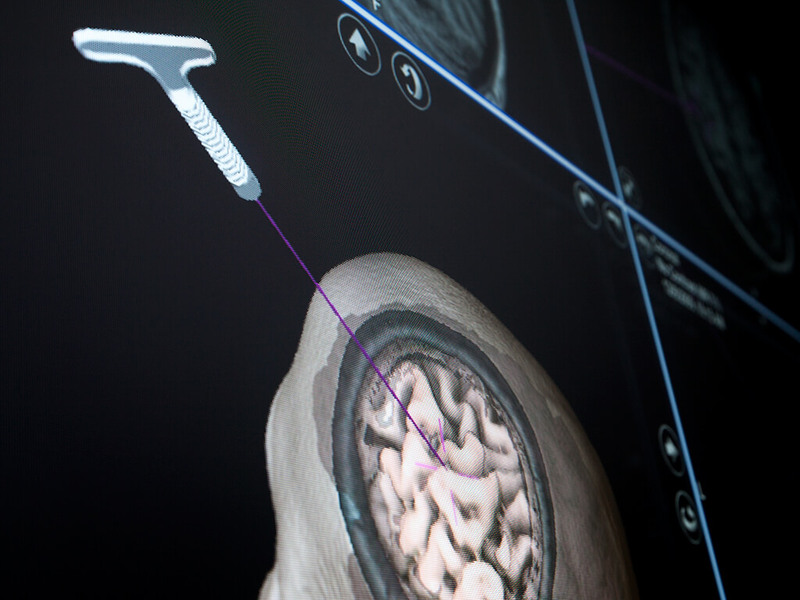 Surgeons are guided through procedures, helping to keep skull openings small and minimize damage to healthy structures. Regardless of the patient’s position, Brainlab Cranial Navigation offers multiple techniques for referencing them to the system. 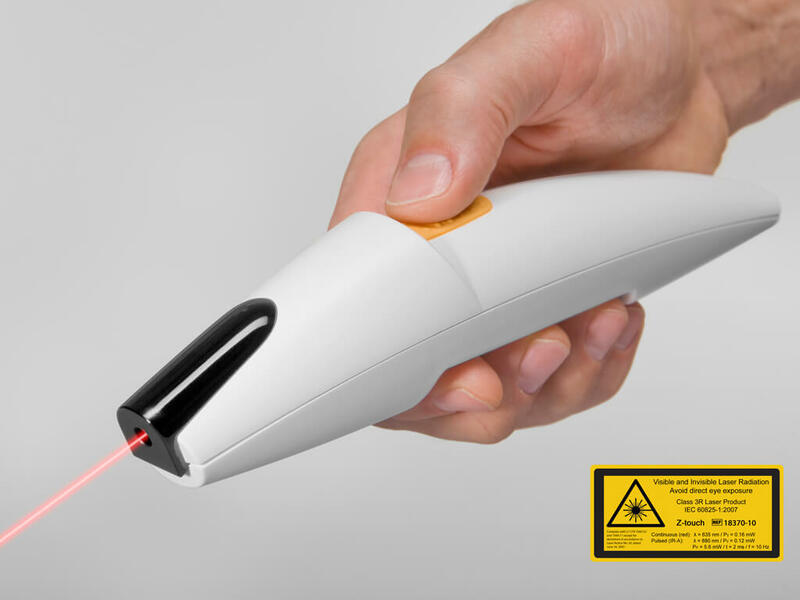 Z-touch® and Softouch® are based on surface matching, making patient registration quick and easy by simply touching the patients’ skin with either a pointer or a laser. 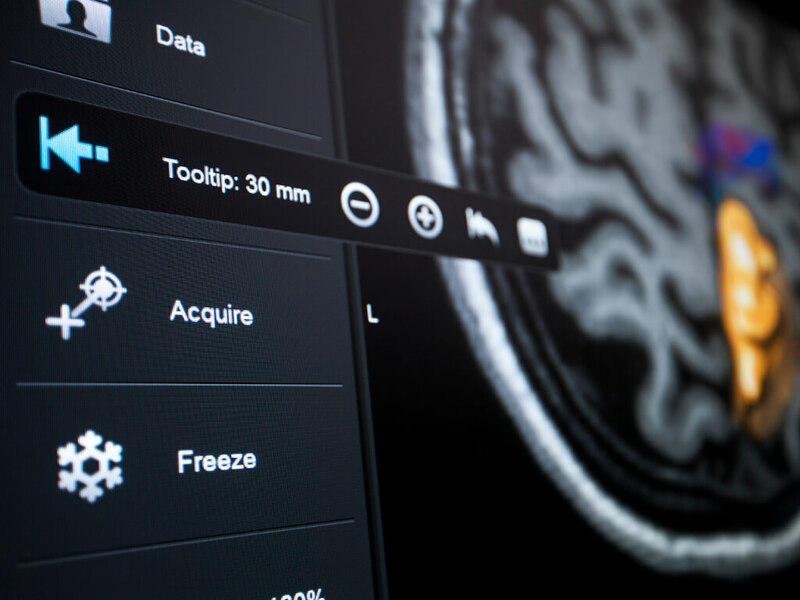 As both devices register CT and MR images without headsets or markers, registration scans can be avoided, helping to reduce neuronavigation costs and radiation exposure to the patient and O.R. team. 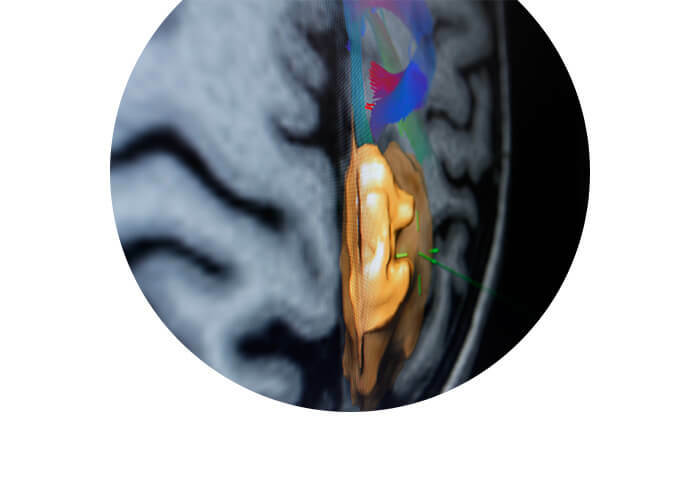 Automatic Image Registration (AIR) is the fundamental technology for seamless integration of intraoperative MRI or CT² images with image guided surgery. AIR adds intraoperatively acquired data to surgical navigation, optimizing the workflow while maintaining the preoperative surgical plan. 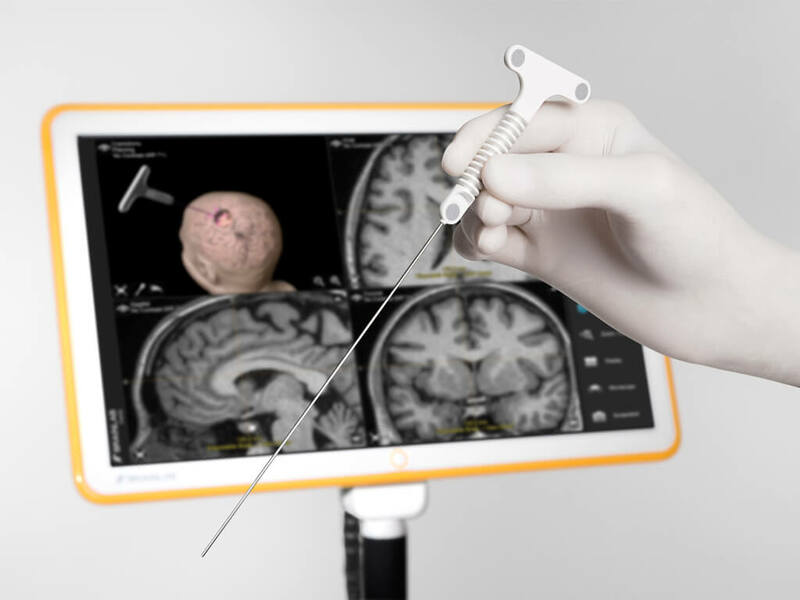 Surgeons can target pre-planned trajectories in less than a minute with Brainlab VarioGuide®. 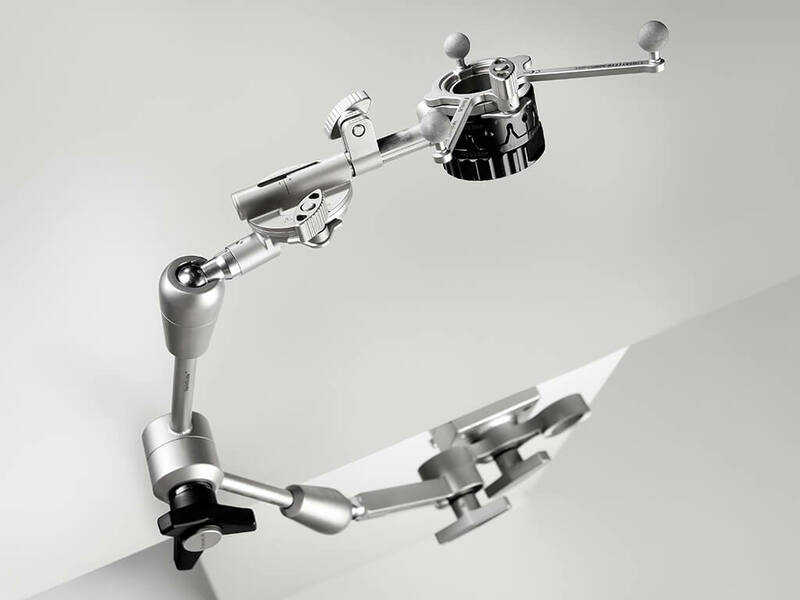 Universal instrument holder VarioGuide offers continuous position feedback and precise step-by-step workflow guidance for a variety of procedures. Surgeons are able to take biopsies, place shunts, or guide an endoscope with increased confidence through proven passive-marker technology. 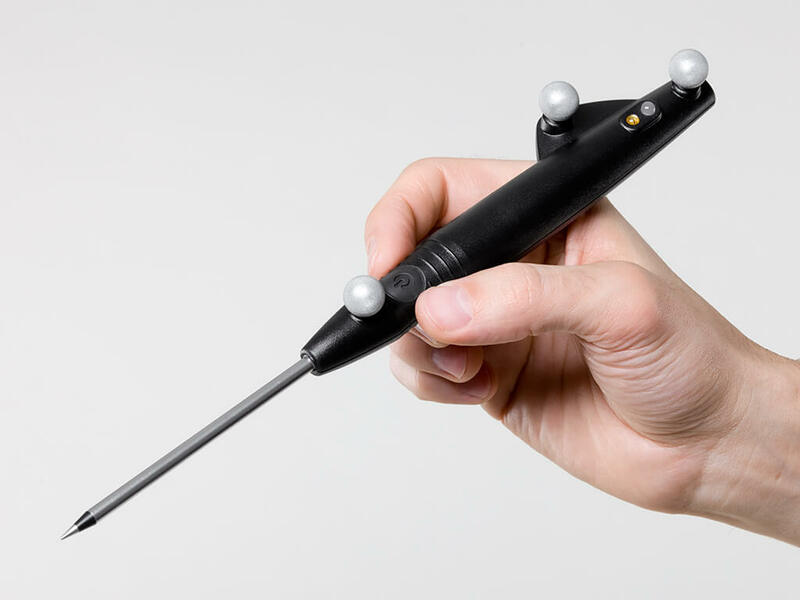 The Disposable Biopsy Needle is designed for navigated removal of tissue samples in frameless neurosurgery procedures. The elaborate design increases safety and confidence while the pre-calibrated geometry allows for instant use of navigation. 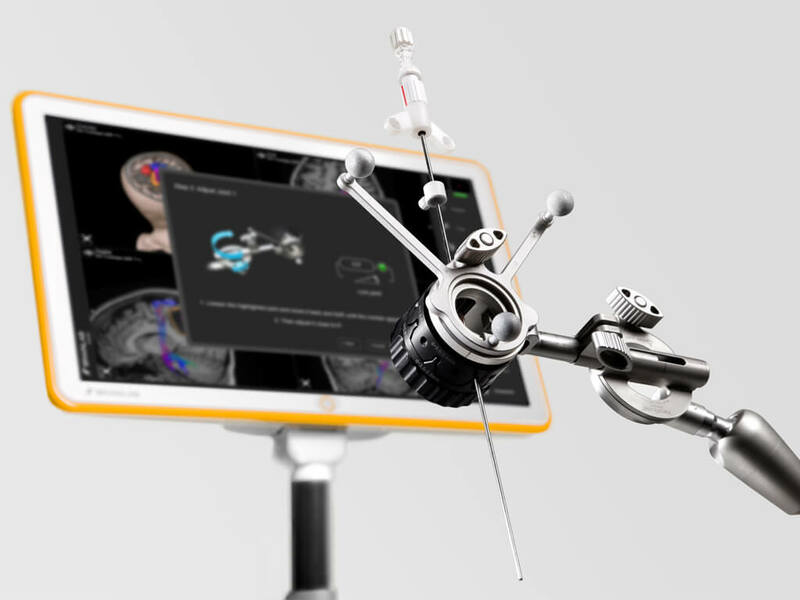 Together with Brainlab VarioGuide and the Cranial Navigation application, pre-planned trajectories can be quickly targeted. The Disposable Stylet is designed for the navigated placement of shunts or ventricular catheters in neurosurgery, enabling their quick and easy freehand placement. The incorporated passive marker geometry is automatically recognized by the navigation camera, allowing for instant calibration.